The change in the UPSC mains paper may likly to be effective from year 2013. It must be noted that the changes in the prelims exam pattern have already been implemented in the year 2011. These changes in the pre exam was welcomed by almost all the students but the introduction of new syllabus in the form of CSAT led to disappointments in some sections of candidates. This introduction helped the sience and engineering students but humanities students had to bite the dust and adjust to the new conditions. Another section which was disappointed with the new CSAT pattern was the set of people who had already made several unseccessful attempts. Many of them skipped the exam looking to save the attempt. This time UPSC is trying to make the playing field for everyone. There will be backlashes from the people who have written the exam under old pattern because of their difficulty to adjust. On the whole, the change is going to bring more equality, rationality and simplicity to the Civil Services(UPSC) Exams. Why in 2013 only and not 2012? Two successive committees (Alagh committee and 2nd ARC) have recommended the pattern change in clear terms. These reports are already out in public. Since there is very small time gap for the 2012 exam.Moreover, a high level panel has been set-up to finalize the details of new syllabus and pattern in December, 2012. What will be the magnitude of change? The details of the subjects have not been finalized yet. The suggestion about removing of optional subjects date back to 2008 when second Administrative Reforms Committee presented its report. 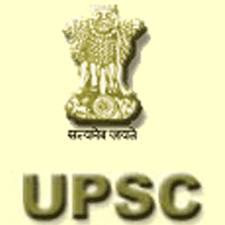 Second ARC had suggested that UPSC should only keep two compulsory GS papers and an essay paper for Mains Examination. Current Mains pattern consists of 2 General Studies Papers and 4 optional subjects Papers (2 each). These 6 papers constitute 1800 marks (300 by 6). there is an Essay Paper and Personal Interview as well of 200 and 300 marks each. These all constitute 2300 Marks. There is also a qualifying paper in an Indian Language. The estimates say that the pattern will be similar to the General Studies but the number of papers will be increased and every subject of GS will form a separate paper in new format. The table below will give you an idea of the new and old pattern of Mains Exam. To Bring Rationality:- The candidates should be tested for their suitability as a Civil Servant and not as a source of information. Thus, only those subjects need to be tested which will give a fair idea of their Administrative Skills. To Bring Equity:- Since all the candidates will write the same papers, their answers will be evaluated on the same standards. This will bring people from all backgrounds to the same platform. To Remove Redundancies:- The pattern of testing of candidates in their graduation subjects has no use. Their subject-wise academic knowledge can be easily checked from their degree mark sheets. To Bring simplicity:- The current system is somewhat complex with varying level of difficulties and evaluations. Some of the subjects become favorites of candidates because of their high success rates. These factors consume a lot of energies of the aspirants. This will be done away with.